When you’re an aviation enthusiast growing up in a small town you enjoy whatever airplanes happen to be nearby. For me that was a dozen or so Cessnas and Beechcraft at the local airport. Every time I drove by I’d scan the grass flightline with the hope of seeing something new and interesting tied down awaiting its moment to take to the skies. My favorite inhabitant was an old, white Ryan Navion. It was quite unusual sitting among its smaller brethren, and I grew fond of it. You may know that it was designed by North American for the civilian market after World War Two but was eventually manufactured by Ryan and eventually saw service as the L-17. It is one of the most macho looking civilian aircraft I've ever seen. If I were a private pilot, this is the airplane I'd own. As a modeler I looked for a model of the Navion and found that only Lindberg had made a crude kit a thousand years ago. Not something for the serious modeler. I always remained hopeful that I would see a kit of the Navion but knew it was beyond even a long shot. My hope took the form of cheeky quips on Hyperscale and ARC over the years -- nine years ago telling Jake Reid that his next book should be on the L-17 Navion, once proclaiming the Navion as the best aircraft that ever flew, and making the claim that the Navion is only prop-driven airplane that could shoot down an F-16. 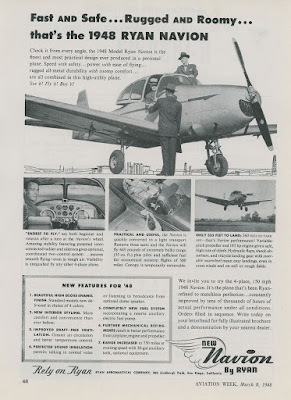 Meanwhile one of the most popular topics of conversations on the forums has always been wish lists, and I’ve always mentioned the Navion, always with the thought that I’d never see one. Fast forward too many years, and here I am holding the new Valom 1/72 Navion! I shouldn’t be surprised. A year ago I opined here on Scale Model Soup that the manufacturers might run out of subject matter in 10 years, estimating that we could see 500 new 1/72 aircraft, 500 new 1/48 aircraft, and 750 new 1/35 tanks and soft skin vehicles by 2025. And guess what. I even mentioned the L-17 Navion in that post! I share my excitement about finally getting a model of this unusual aircraft only to suggest that if you wait long enough, if you’re patient, you may eventually get your wish. I know we’re an impatient bunch of guys, but the good news is we have plenty of models to build while we wait. 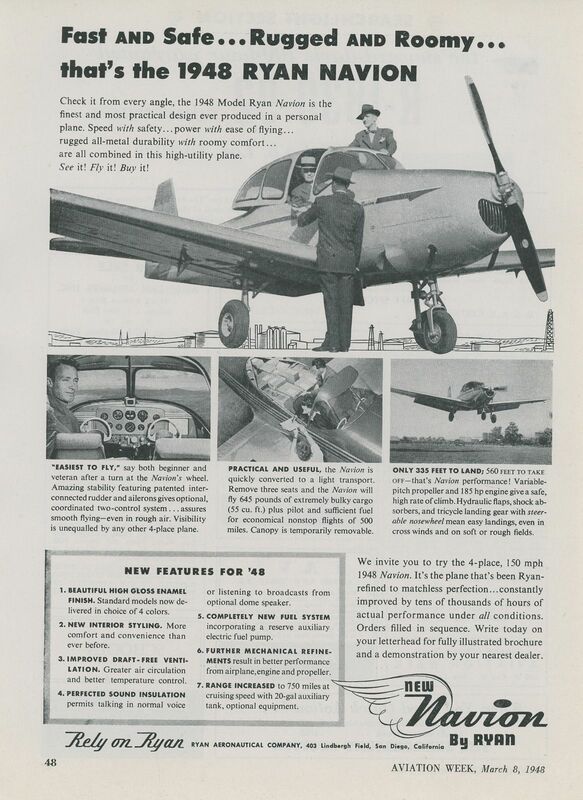 The Navion looks very similar to the Fuji FA-200 Aero Subaru of the mid-1960s. I wonder if there was cross-pollination? I recall an example of the Fuji being available for use at my local airport many years back. I was too dumb and unadventurous to take advantage of it as it looked too "old", and so I stuck to the regular Cessnas and Pipers. Silly me- I later heard from other pilots that those "old" Fujis were very good. It'll probably go into the stash. Ironic, eh?